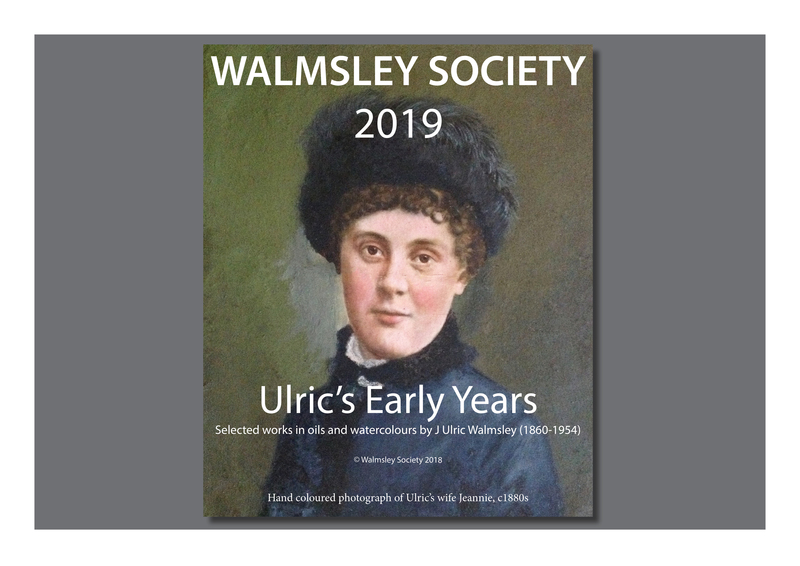 This year's Walmsley Society Calendar is entitled "Ulric's Early Years" and features more of Ulric Walmsley's wonderfully evocative paintings: several of Robin Hood's Bay but also of other places and subjects which he produced during the early years of his career, from the 1880s to the early 1900s. 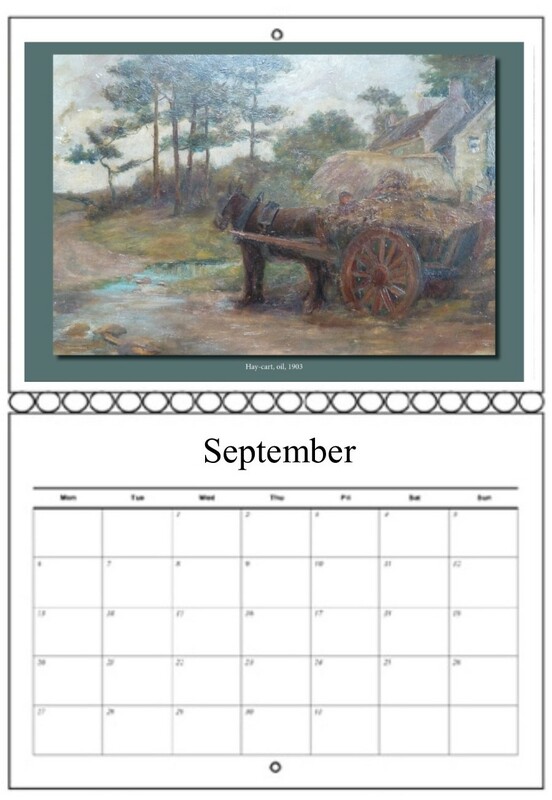 The calendar has been compiled by Sean Walmsley and Nick Foggo, and the paintings are from private collections, with permission for their use granted by the owners. The calendar has been designed in A3 format for 2019; A4-size when closed, but opening out to A3 to allow for larger, more detailed images, and bigger spaces to write your diary notes! This new and varied selection of Ulric’s work is offered to UK members at just £9.50 for a single calendar, to include postage and packing. We are also repeating the offer of a reduction for multiple orders: £9.00 each for 2 to 5 calendars and £8.50 each for 6 or more. The larger format has necessitated a small price increase, but we're sure you'll agree that the larger format is well worth the extra! Rates for overseas orders are on the website. And enclose your cheque made payable to The Walmsley Society (UK only). To order more than 8 calendars, please contact us. To order more than 1 calendar for overseas, or for other destinations, please contact us.